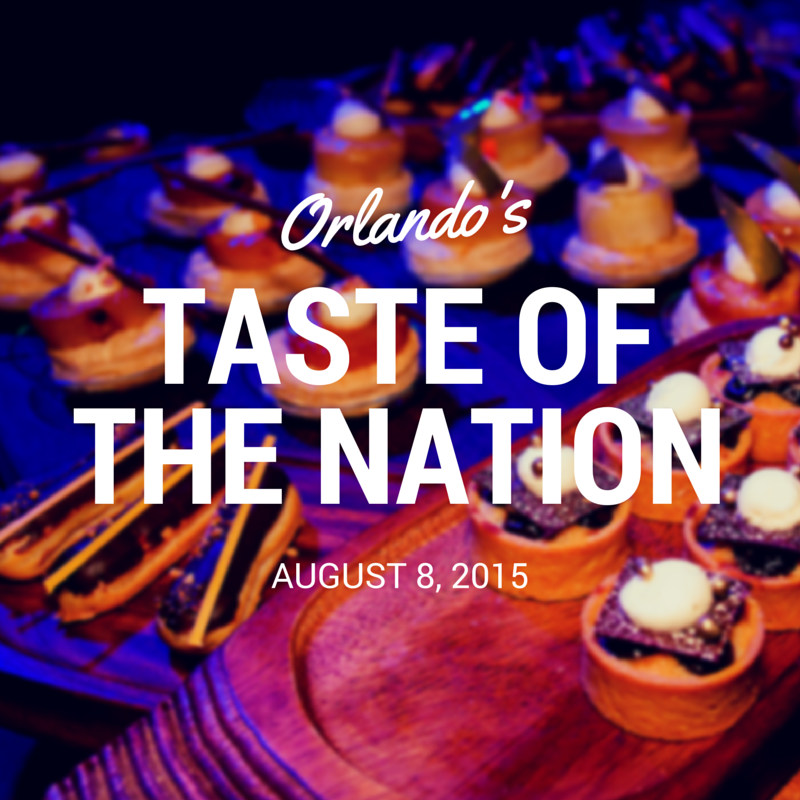 It’s time once again for the amazing Annual Orlando Taste of the Nation for No Kid Hungry. This event is every foodies dream. 44 awesome restaurants from around Orlando will be participating this year. They will be cooking up for a great cause to end childhood hunger in Central Florida. Guest will be able to sample signature dishes, cocktails, premium beers and wines. I have been lucky enough to dine at some of these fabulous restaurants in the area and this is a great way to sample the culinary delights of the best restaurants that Orlando has to offer. The best part is helping those in need for one of my favorite charities! Guests will enjoy a fully automated mobile silent auction featuring signed memorabilia, stays at upscale hotels, dining experiences, rounds of golf on area courses, and exotic adventures and getaways. The event’s popular Instant Wine Cellar game returns offering participants a chance to win more than 150 bottles of wine valued at more than $2,500. There are only 250 chances to win this exquisite wine cellar. Each key is a $25 donation. New to this year’s event is The Giving Tree, a towering tree that will give participants an opportunity to win a taste of Orlando’s most popular restaurants. For a $50 donation, participants are invited to choose a hanging envelope from the tree; each hanging envelope contains a restaurant gift card ranging from $50 to $200 in value. Every dollar raised fights hunger and homelessness in the Central Florida. Local beneficiaries include Coalition for the Homeless of Central Florida and Second Harvest Food Bank of Central Florida. When: Saturday, August 8, 2015 from 6:45pm – 10pm. Where: Orlando World Center Marriot – 8701 World Center Dr., Orlando. Newcomers include Artist Point at Disney’s Wilderness Lodge Resort, Black Fire Bull, MOOR and Old Hickory Steakhouse at Gaylord Palms Resort, Highball and Harvest at Ritz-Carlton Orlando, Grande Lakes, Itta Bena, Lafayette’s Music Room, Tapa Toro Tapas Bar, TR Fire Grill, The Whiskey, Urban Tide Hyatt Regency, and Yak & Yeti at Disney’s Animal Kingdom. Orlando’s Taste of the Nation is also serving up four tasty starter events. Starting July 1st, the Downtown Orlando Eola Win Company will raise a glass to end hunger with a weekly series of wine tastings leading up to Orlando’s Taste of the Nation. Every Wednesday from 6-8pm, for a $15 donation you can enjoy unlimited wine tastings for a great cause. July 23rd at the Dr. Phillips World of Beer, and July 30th at the Downtown Orlando World of Beer, $1 of each pint sold between 4pm and closing will go directly to Orlando’s Taste of the Nation. Starting July 7th and running until August 8th’s Orlando’s Taste of the Nation’s event, The Ancient Olive in Winter Park is fighting childhood hunger by donating $1 for each bottle of ultra-premium extra virgin olive oils, aged balsamic vinegars, and flavor-infused olive oils. Throughout the month of July, receive a free order of Hawkers’ signature Malaysian-style flatbread Roti Canai for a donation of $2 or more. 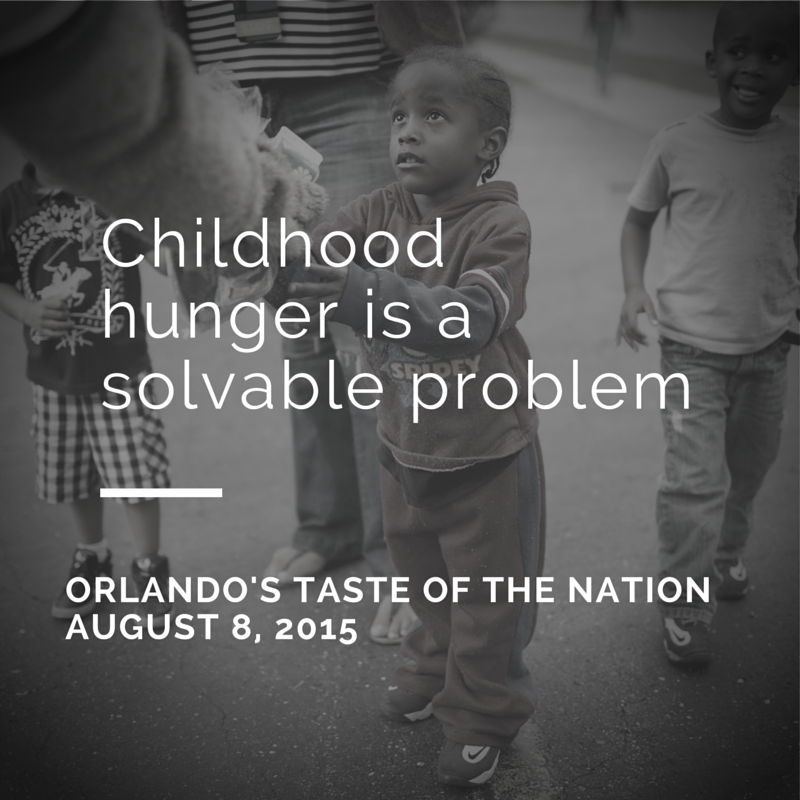 Directly benefits Orlando’s Taste of the Nation effort to end childhood hunger in Central Florida. I hope all of you in the Central Florida area will come out and join me for a great cause! I will be sharing photos during the event. You can follow along with me via twitter and instagram. You can also follow the official twitter account of the event @OrlandoTaste. I will be using the hashtag #OrlTaste.